Or view larger version. Street in Chinatown. ca. 1900. Arnold Genthe. Gelatin silver print. Collection of Oakland Museum of California. 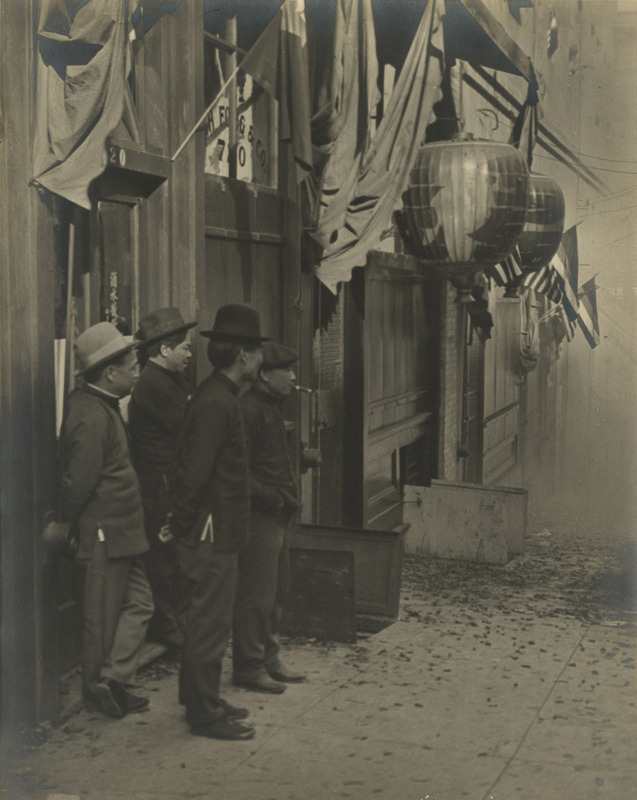 This photograph reflects a moment in time of four men standing on a street in Chinatown San Francisco in the early twentieth century. It was taken by Arnold Genthe who often used a hidden camera to capture the every day life of the inhabitants of Chinatown. Notice the blurred background shown on the right side of the photo, concealing any evidence of western civilization, and the rustic architecture of the building with its lanterns and flags.